(Editor's note 3.28.18: while Facebook has had negative press this past week, we don't think it's going away anytime soon). It is a common misconception that Facebook has no place for companies who are marketing to other companies. There is a belief that Facebook’s marketing value begins and ends with B2C marketing and sales, but nothing could be further from the truth. For years, Facebook has been a key player in digital marketing and has gained a reputation for being a strong B2C marketing platform. Through eye-catching, click-worthy advertisements, B2C marketers have found new customers, gained audience insights, cultivated interest, and converted “likes” into sales by offering discounts, promoting sales and specials, and using the retargeting tools that Facebook provides. It’s clear that B2C marketers that put time, energy, and financial investment into their Facebook campaigns reap the rewards. Businesses that are successful know how to resonate with and have conversations with their target audiences. Regardless of who their customer is – a direct consumer or a business decision-maker – effective companies know how to speak very specifically to their buyers. Facebook gives you the opportunity to build a narrative about your company, and to continue telling the story through regular updates and interaction with your audience. It’s a powerful tool that allows you to be there when your buyer is ready, and to actively seek out your buyers at the same time. Facebook is also a fantastic tool for nurturing and evolving relationships. This is particularly important for companies who have longer sales cycles. Are you hiring, or will you be in the near future? Then Facebook is even more important. This is the place to showcase your company’s culture and give people insight into the company’s true competitive advantage through a robust company page, and on-going content. For B2B companies especially, the investment you’re asking other companies to make can be substantial. After all, this probably isn’t something the buyer can just throw out and re-purchase if they’re not happy with it, like a shade of lipstick. Furthermore, you’re likely providing a product or service that will have an impact on their business and oftentimes an individual’s own reputation is on the line for the choice they make on a business-altering product or service. Your buyer needs to know what you provide is credible and matches their needs. Facebook provides not only another proof point for your buyer, but a place to showcase your company’s deep level of expertise, industry know-how, and talent. Even if your end-customer isn’t a regular Facebook user, many business decision-makers do check a company’s Facebook presence when doing diligence on a product or service. Giving your buyer the ability to understand who your company really is and what you offer on a deeper level is important. Don’t ignore Facebook as a critical platform to do this. It could make the difference between someone choosing your company over another option. One of the most appealing aspects of Facebook for marketers is its worldwide audience, comprised of 1.4 billion active daily users. For B2B businesses, this means access to an immediate worldwide audience. The primary goal of B2B marketers is to gain quality leads and to earn the attention of high-level decision makers, which is why it’s important to note that new user trends are showing that an overwhelming percentage of people on Facebook today are, in fact, business decision makers. Twitter and LinkedIn also boast access to decision makers, but Facebook is unique in that it’s a casual network. Even high-level decision makers use Facebook to browse their feed, engage with friends and colleagues, and kill time during their day; the focus of Facebook is to scroll through the Facebook feed. LinkedIn, while it can be a valuable tool for B2B marketing, is more often accessed with a specific purpose or goal in mind. 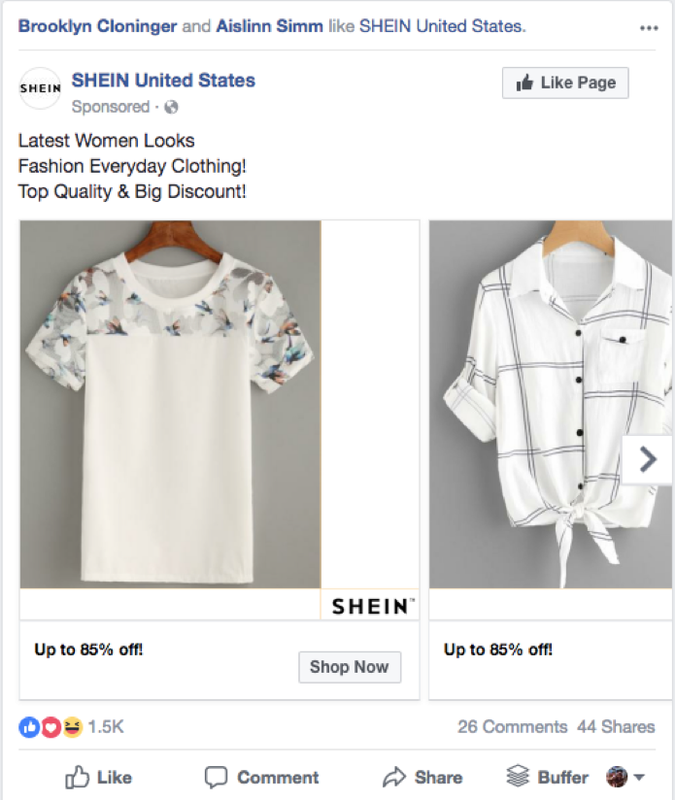 Facebook ads are a great way to make your product pop up on the feed of high-level decision makers when they’re not focused on performing a specific task and have time to browse. Facebook is often an unavoidable proof point when conducting diligence before purchasing a product or service. A well-marketed B2B organization has a robust presence on Facebook that helps the organization stay top-of-mind with their target audience throughout the sales cycle. Facebook also makes it easy for buyers to track their peers and gain insight into products and services that their peers trust. Research shows that 83% of consumers trust recommendations from their peers over advertising, proving that friends are the most credible form of advertising. This gives Facebook marketing a powerful advantage because Facebook consistently provides viewers with peer recommendations. The Facebook algorithm makes it so that a visitor is constantly exposed to products and pages that their friends “like” and their feed is filled with relevant products that their friends endorse. Whether you’re building awareness and credibility through thought leadership content or driving conversions for the sale of a product or service, Facebook is the place to reach your audience with laser precision. If you’re a B2B marketer, you likely know who your target audience is, and Facebook targeting capabilities are just as detailed as your knowledge of your target audience. · Industry: Target by industry. Ex. Fashion, Technology. · Job titles: Search for decision makers by job title. Ex. Director, manager, founder, buyer. · Employer: Reach a specific company by targeting your audience based on their employer. · Interests: Ex. Target a startup founder with an interest in health and fitness. · Business Size: Ideal option if your product is great for a business of a certain size. · Location: Target specific locations, including local businesses and/or international businesses, depending on your needs. For more information on Facebook targeting, please consult Fujisan Marketing's previous blog, Facebook Marketing for Beginners: Pt. 1: Prepare, Target, and Remarket. Facebook advertising is a great way to bring brand awareness to your product and get it out in front of decision makers and buyers. It is also a great way to follow up with warm leads by using Facebook’s technology to remarket to visitors that have shown interest in your product. Facebook can help you retarget lost prospects or leads that dropped off. Perhaps a consumer clicked on your product but did not buy it, or they were directed to a landing page and didn’t perform the call to action; these are both examples of showing interest in your product. Just because a visitor didn’t follow through, that doesn’t mean they won’t be ready to convert in the future. Use remarketing to keep your brand fresh in their mind and encourage them to come back to your site and convert. You can build your remarketing list by first adding a Facebook pixel tracking code to your website to collect lead information. You can add email lists, and you can also add contact information collected from landing pages, YouTube, and your Mobile App. If you’re unfamiliar with Facebook’s remarketing, you can learn how to collect this data and use this tool by reading Fujisan Marketing's previous post, Facebook Marketing for Beginners: Prepare, Target, and Remarket. Facebook is ideal for lead generation. Now, you can create a custom form fill directly on the Facebook page with Facebook lead ads. Buyers don’t even need to navigate away from Facebook onto a landing page or your website to give their information. One of the best features of form fills on Facebook is that they can appear auto-filled, with the Facebook user’s information already typed into the form. All that stands between you and a buyer’s information is one or two clicks, making it a great way to generate leads with very little effort from the consumer. You can use the information you collect from Facebook lead ads to nurture your leads through a sales funnel, turn them into warm leads, and then into customers. As Facebook develops, year after year it offers new opportunities for B2C and B2B marketers. Facebook offers a unique and critical space for companies to share with the world – and their buyers – what they have to contribute. With Facebook continuing to retain a large scale national audience and high number of daily active users, it is in your best interest to learn how Facebook can promote your B2B marketing goals. 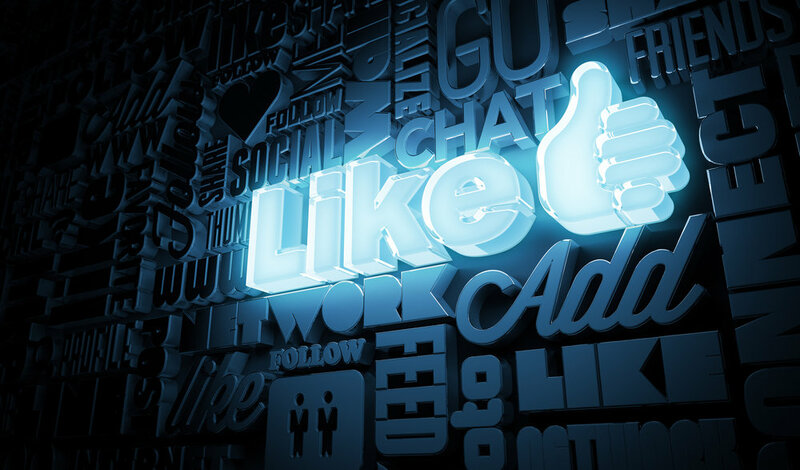 Managed well, Facebook can give B2B marketers both a new audience and a profitable return. Rebecca MacLeod is the founder and chief consultant of B2Launch, a Seattle-based marketing and PR consultancy that specializes in working with emerging and growth-focused companies. Preston Parshall is the CEO and founder of Fujisan Marketing, a Seattle-based digital marketing agency. Preston and Rebecca have worked together on multiple client programs, and know first-hand the velocity a well-executed Facebook marketing strategy can provide to B2B companies.